Do you often feel like your emotions are in control of you instead of the other way around? Are you unclear about what you want, who you are, or what your goals are? Is it difficult to make and maintain healthy relationships? Are you confused about why you feel the way that you do? Do you experience quick and intense changes in mood? Are you engaging in behaviors that are making things worse? Do you ever feel like you are suffering and others don’t understand you? Are you having trouble focusing on or staying in the present moment? Dialectical Behavior Therapy (DBT) can help you regain control of your emotions and your life! 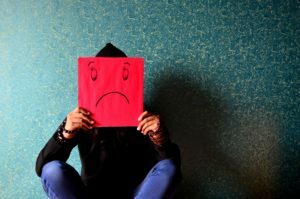 We offer comprehensive DBT for struggles with regulating emotions (knowing what and why you are experiencing an emotion, being able to handle and/or reduce rapid and intense mood shifts), interpersonal difficulties (getting and maintaining the relationships you want), impulsive behaviors that make things worse, and feeling confused about who you are (feeling disconnected or empty). DBT is comprised of individual therapy, skills training class, and phone coaching. It was created by Marsha M. Linehan, Ph.D., to teach you skills for managing emotions and destructive behaviors creating a great deal of stress in your life. It is time limited treatment, typically last for 6-12 months. The treatment focuses on decreasing confusion/disconnection with yourself, tolerating distress without making things worse, improving your ability to manage your emotions, learning skills to get what you want and need in relationships, and managing behavior in yourself and others more effectively. 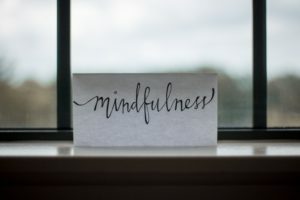 DBT is different from many other therapy approaches as it integrates eastern mindfulness and Buddhist Zen approaches with components of cognitive and behavior therapy. Let us help you build a life worth living! This is the most common phrase that we hear when people are hesitant about joining the program. Many people, understandably, have ideas about what group therapy looks like. DBT group is not like the stereotype of group therapy (with everyone sitting in a circle, talking about their problems, and others nodding blankly). DBT skills group is a structured class-like environment with homework review, discussion about skills and how to use them effectively, brief sharing of examples of how you are learning to use the skills in your daily life, and a place for peer connection and support. Our patients have found group to be an fun, helpful, and essential part of their treatment. More importantly, there are insights that can be gained in a group environment that could never happen in individual therapy sessions. If it helps you live the life you want for the rest of your life, it’s an investment worth making! You can have a life you enjoy! Contact us to schedule an appointment!